How do I qualify for the founders circle? It's really hard to get mentored by successful founders. 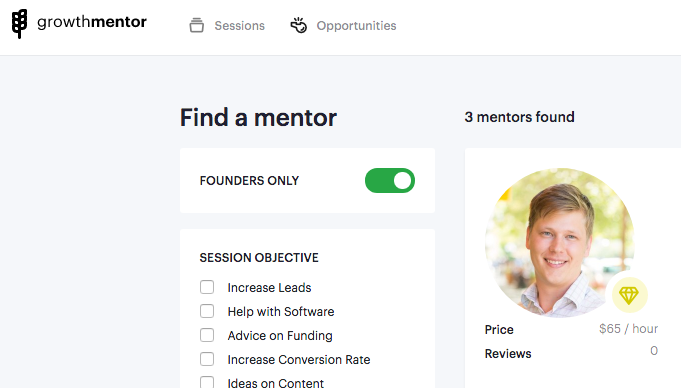 Mentees can now toggle between all growth mentors or just growth mentors that are part of the founders circle. The founders circle consists of mentors that have demonstrated exceptional skills in starting and growing a real startup. How can you qualify for inclusion in the founders circle? Your business must have verifiable customer traction and a social media presence that substantiates its existence. Your business must be in operation for more than one year. What are the benefits of being in the founders circle? Being in the Founders Circle will give your growth mentor added exposure which will increase your chances of booking calls. It will also give added exposure to your business. Who knows, you might make a few new customers! How do I request inclusion in the founders circle?